We can be your best choice for advanced phone systems & communications solutions at very competitive prices. From additions to new installs, voicemail, audio/video conferencing, call auto-attendant, telephone accounting and wireless, we do it all. We take great pride in our phone system installation, testing and certification procedures for Phone Cabling. Our main goal is total customer satisfaction through the highest quality workmanship, top quality equipment and built-in upgrade potential for your systems and network. Our industry knowledge and engineering expertise can ensure the best protection of your Voice and Data systems investment. Our engineers are experienced with the widest diversity of phone equipment and wiring. Our company provides installations, upgrades and maintenance services for PABX/PBX Telephony and PABX/PBX phone systems using VOIP. We also offer products, such as PABX/PBX Telephone Systems, PABX/PBX Phones, VoIP Gateways, and Memory Cards. Contrary to a common belief that these PABX/PBX systems are expensive, we can show you that you can get enhanced communication for your business or for your smart home at a very low budget. PBX stands for private branch exchange. In simple terms, a PBX is the backbone of a corporate phone network. 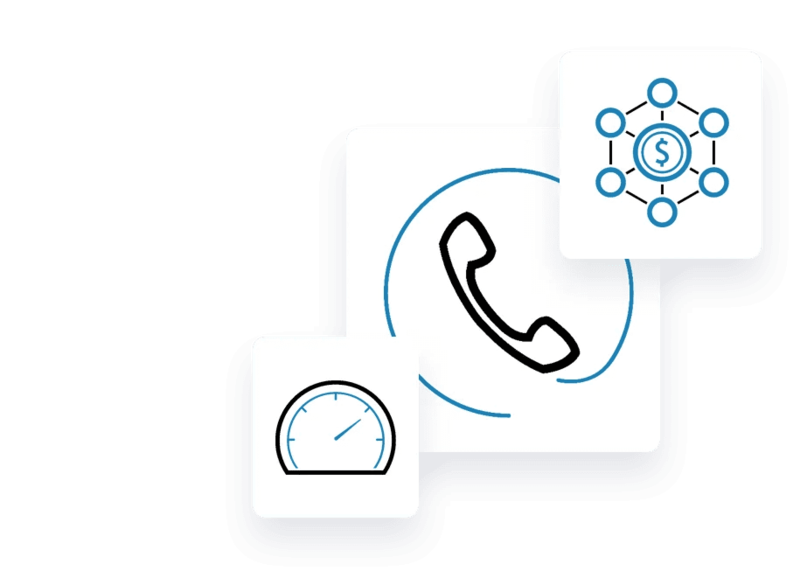 Small companies typically use multiple-line systems to handle their incoming and outgoing phone calls, letting their phone carrier handle the management of those lines. In this scenario, four lines come into the business and are all visible on a multiple-line phone. Business networks utilizing a PBX have a number of lines or a T-1 digital connection coming into it to provide service and branches open connections throughout the enterprise. It also permits internal calling from extension to extension. IP PBX is the application of VoIP (Voice over Internet Protocol) technology to Private Branch Exchanges (PBX). Company telephone networks are carried over the data network. - Incoming Call Control : Live operators receive and direct incoming calls to internal office personnel. A live operator gives a business organization a personality and the opportunity to interface directly with customers, clients and the public. When the auto attendant mode is used incoming callers are offered options to connect them to the right parties. - Internal Call Control : A PABX system provides connections between all internal phone stations without requiring operator intervention. Every station can dial any other station within the system. If a user does not know the extension number for another person on the system, an online directory may be accessed by voice interaction to provide the correct extension and make the connection. - Speed Dialing :A speed dialing feature permits frequently connected parties to dial one another with a single button. This eliminates dialing errors and speeds up communication between parties. - Automated Information :Call directing information can be programmed into a PABX. This improves customer inquiries by creating direct access to internal departments or individuals. Incoming callers reach key contacts without speaking to an operator or receptionist. - User Friendly :It is easy to train personnel to use PABX systems and station handsets. Many functions are noted on standard buttons and supported by voice interactive inquiry functions within the system. - Higher Call Volume : A PABX can automatically receive and direct large numbers of calls at the same time. Incoming callers do not have to wait in line for an operator to answer and direct their call to the proper internal station. - Courteous Waiting :Calls that are placed on hold can be served pleasant music while waiting to be connected. The presence of music tells incoming callers that they are still connected until the called party answers. - Value : PABX systems are valuable business assets. They improve the company image, create smoother flowing lines of communication, and provide the networks for effective internal.